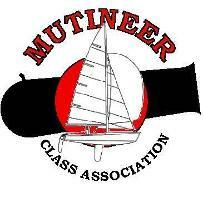 Welcome to the Official Mutineer 15 Class Association web site! Here you will find just about everything you could ever want or need to know about this fantastic little boat. 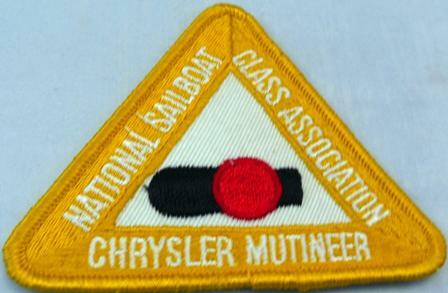 We are in the midst of a resurgence of the Mutineer 15 Class Association, and this web site was created to inform and educate current and future Mutineer owners. If you currently own a Mutineer, we invite you to look around, meet other Mutt owners, learn more about your boat. If you are simply interested in sailing or perhaps in purchasing a Mutineer, you can learn more about this great day sailor/racer, and we're sure you'll find that you'll want one too! 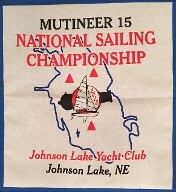 2019 Mutineer Nationals - The Colorado Mutineer Fleet and Union Sailing Club are excited to invite you to the 2019 Mutineer National Championships, September 12-15. Schedule the time off, plan a vacation in Colorado, fine tune your boat and hone your sailing skills for the Colorado Mutineer Roundup. It’s a great time for sailing, hiking, visiting Rocky Mountain National Park (less than an hour away), etc. It’s a beautiful time of year here: the leaves are starting to change, there’s fresh snow on the high mountain peaks, the evenings are cool (~50-55 F.) and the days are sunny and warm (~70-75 F.). The water will still be warm (~70 F.) from the August heat, and the fall breezes start up. We plan to have at least 20 boats on the line, with hopefully 3 or 4 Junior teams. MNC 2018 is in the books! Results, stories, pictures click here. 2018 Mutineer Mid-Winters is in the books! Watch here for details. 2018 Dead Dogs & Tin Whistles is in the books! The good folks at the Upper Keys Sailing Club put on another great regatta. Click here for all of the details. 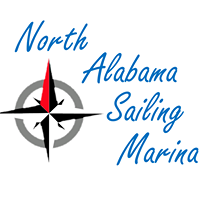 MNC 2017 - The 2017 Mutineer National Championships will be October 5-8, at Brown’s Creek Sailing Association is in the books! Results and pictures here. Mutineer Midwinter Championship, April 1-2, 2017, Apollo Beach, Florida is in the books! Results and pictures here. The 10th annual Dead Dogs & Tin Whistles is in the books! Results and pictures here. If you have never had the pleasure of the Upper Keys Yacht Club's hospitality, start making you plans now for next year. MNC 2016, The Pymatuning Challenge, is in the books! Dead Dogs and Tin Whistles 2016 is in the books! Crazy weather all around but we did get in a great day on Saturday with steady breeze around 7-9. Tampa Sailing Squadron teams took top spots for the regatta: 1st Ed P. and John S., 2nd Matt and Dan, and 3rd Team Tonkin! Congrats to all for some great competition on the water, and great fellowship off the water. Brad DeMarco donated one of his shops' new rudder head design for a regatta raffle prize, and our own Ginette won it. Perhaps Ginette and the others will share some weather and other related stories and scores. Next year will the Dead Dogs and Tin Whistles 10th year, so perhaps next year we'll have even a bigger Mutt fleet! (8 Mutts and 8 Buccs registered for the weekend). Thanks to the UKSC for great hospitality, and to the RC for always a great job on the course! MNC 2015 is in the books! 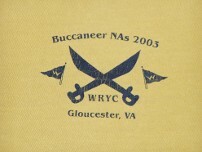 - The good folks at Tampa Sailing Squadron, Apollo Beach, Florida hosted Mutineer sailors from many states. And a big time was had by all. Click here for all the details. Dead Dogs and Tin Whistles 2015. Click here for two great reports - one from the host Ginette Hughes and the other from Fleet 18 Captain Jim Davis. 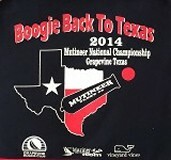 MNC 2014 is in the books.- Click here for a recap of MNC 2014, Boogied Back to Texas for the Mutineer Roundup! Dead Dogs & Tin Whistles 2014 is in the books. Click here for a full report. Mount Dora Yacht Club 60th Annual Sailing and 100th Regatta 2013 is in the books! Click here for the results. Dead Dogs and Tin Whistles 2013 is in the books! Click here for details. Ware River Rumble is in the books! Click here for pictures and results. Winds were right around 8-12 all weekend. We got chased off the lake by a pretty good size T-storm after the first race on Saturday, and were done for the day. Dead Dogs & Tin Whistles Regatta - Ginette Hughes and the Upper Keys Sailing Club in Key Largo put on another great regatta. Plenty of breeze and good times. Pictures will be posted here soon. 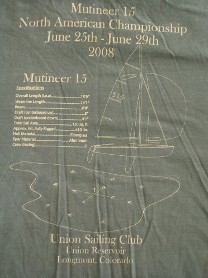 August 6 - 7, 2011 Virginia Governor's Cup - Eleven Mutineers registered for this great event. Not all made it on the water, but the Mutineer Fleet was strong and just missed winning the Governor's Cup. Day one had strong breezes and 3-4 foot rollers, a real test of man (woman too) and machine. Day two was perfect, the fleet enjoyed a steady southwest breeze of around 10 mph. Crews from as far away as Florida and LA (Lower Alabama) joined the fun. Fleet One made a strong showing with 9 boats. 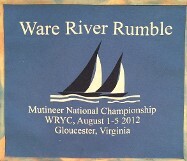 The 2011 Mutineer National Championship is in the books. Congratulations to Ernie and Carol French for sailing a fantastic regetta. Chad and Rey teamed up to put on one great event, start to finish. We will post all the pictures, stories and results soon. 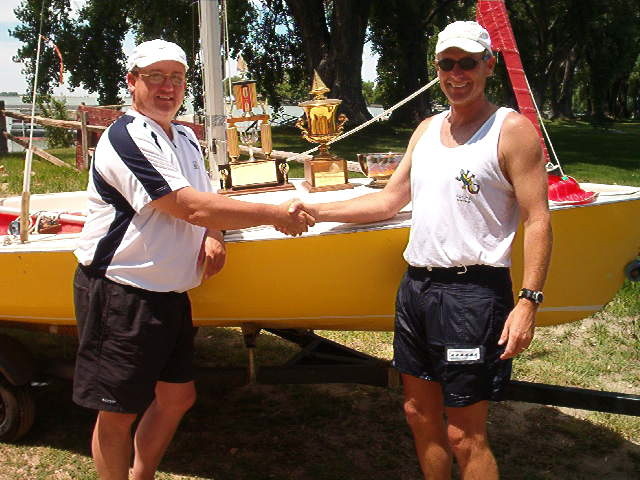 The 2011 Merrimac Memorial Regatta hosted by the Portsmouth Boat Club is in the books. Four Mutineers mustered for the event and that was enough for fleet status. Don Beek (71 years young) made a return after missing the regatta the last couple of years. He and trusty crew David sailed extremely well. Al Whitener put on a Mutineer sailing clinic taking three bullets over three races. Tony sailed with young crew and won an award for bringing a new generation to sailing. 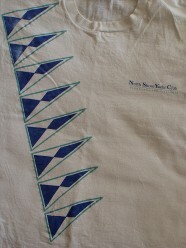 After three races in shifty, cantankerous winds the sailors went ashore for the famous Portsmouth Boat Club cookout. An excellent time was had by all. Join a Mutineer Fleet near you! We currently have 3 active Fleets and plans are being made for a fourth and fifth Fleet. Currently, Fleets are based in Colorado - Fleet 15, Florida - Fleet 18 and Alabama - Fleet 34. Work is ongoing to form fleets in the Mid-Atlantic and Michigan areas. So, find a fleet and join it or help build a new Fleet. Dead Dogs and Tin Whistles. Ginette has done it again! Many skippers, crew and boats enjoyed the hospitality of the Upper Keys Yacht Club and the warm breezes of Key Largo. Click here for the scoop. LMSA Kettle Cup. Click here for the scoop. 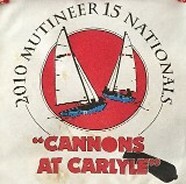 Mutineer Nationals. Another Nationals is in the books. Click here for the results. Dead Dogs & Tin Whistles Regatta. A big time was had by all who participated. Special thanks to Ginette Huges for running a great event. Click here for the results, photos and scuttlebutt! MNC 2009 a great success. This year's event turned out to be the best ever. 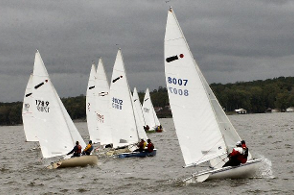 19 boats were present with 18 competing. Click here for more reports. MNC 2009 NOR posted. The NOR and registration forms for this year's national regatta have been posted. I had found that 1979 yellow Mutt for sale by Norm Klocke, and drove to Nebraska to pick it up. I let Ernie know I was coming, and he drove over and met us. The 3 of us took it for a sail. Ernie had just found out that the MCA was rejuvenated, and began to make plans to join us at MNC 2004. In the picture Ernie was displaying some of the Mutineer hardware he had acquired over the years from 1976-1981. Humorous anecdote: If you’ll notice in the photo my shorts are wet. As we came into the dock from our sail, I was the first to step onto the ramp and found out that there was a lot of slime making it slicker than snot, and I went down instantly in 2-3 feet of water. 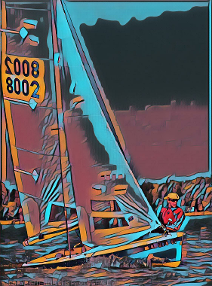 Mutt 4752, I brought the boat back to Fort Collins and sold it to my neighbor, Ian Wells to replace the Mutineer they were sailing that wasn’t spinnaker equipped. Ian and his son Todd sailed it in MNC’s 2005, back in Nebraska . 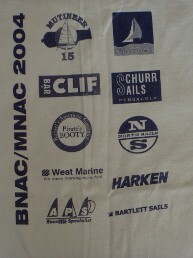 It was loaned to Martin Casanova for MNC 2008 in Colorado, then went back to Nebraska for MNC 2013 as a loaner boat for Bob DeRoeck and Jerry Thompson. Since it came to Colorado, it’s had 5 owners, and it’s still sailing at my Club. Mutineers are currently being built by Nickels Boat Works. 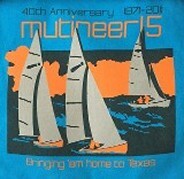 Click here to checkout a brand new Mutineer 15. Need parts for your Mutineer? Checkout the huge selection of new parts and accessories at Nickels Boat Works here.